Our MSc Civil Engineering course is developed from a mix of technical and management-based modules, aligning to current global issues relating to civil engineering and management. Your learning will focus on the civil engineering infrastructure and structural and management aspects of construction, as well as environmental problems affecting construction projects. To enhance your employability, you will be exposed to industry and visiting academic experts as part of your modules, and the course structure offers flexibility so that you can continue with your work commitments whilst studying. This course is suitable for professionals working in the broad civil engineering and construction industries, who aspire to senior management positions. Additionally, this course is suitable for BSc (Hons) and BEng (Hons) undergraduate students in related subject areas, looking to progress to study a technical postgraduate programme. The skills and knowledge gained on this course opens up opportunities for application to senior technical and middle/senior management positions. Extend your knowledge and experience by exploring other disciplines interconnected with course, such as energy, manufacturing and other industries. Our course structure enables personal exploration in related areas of interest, helping you to align your developing knowledge to your career aspirations. Our MSc Civil Engineering course concentrates on the civil engineering, structural and management aspects of construction, as well as environmental problems affecting construction projects. You’ll gain awareness, an understanding of, and competence in, the design, management and construction of civil engineering infrastructure. Grounded through Professional, Statutory and Regulatory Bodies’ requirements, the course focuses on the theme of engineering for sustainability. There is an embedded theme of sustainability and innovation in design and construction, taking into account economic efficiency. The course facilitates and supports dialogue and debate on critical issues related to global social responsibility, within the wider sustainability agenda, fostering respect for different values and world views. The MSc Civil Engineering course is formed of eight taught modules, totalling 180 credit points. The modules’ credit points are weighted based on the total time you can expect to spend studying the module content, both in terms of contact hours and non-contact hours. The chosen topic should aim to integrate your learning, show well-developed research skills, show your ability to analyse and evaluate, and bring your own perspective to an unfamiliar and complex problem. Advanced understanding of BIM, in terms of available tools and the impact upon practice. A critical analysis of modularised construction. An evaluation of design management practices. In-depth understanding of purpose and techniques used in optimisation. Develop skills to apply ethical codes and an ability to evaluate these critically. This module will be delivered via lectures, seminars and computer labs, and be assessed via coursework. This module aims to provide a detailed understanding of advanced hydraulic topics, such as costal engineering and hydraulics structures, as well as advanced hydrology topics such as estimating floods, flood routing and groundwater. The module will aim to enable you to: design simple coastal structures and other hydraulic structures; estimate floods using a variety of methods including ow flow estimation for small catchments; route a flood and predict the maximum flow with time along a given river/stream, and; appreciate the importance of groundwater and estimate groundwater recharge, and model pollutants transport in groundwater. This module will be delivered via a flexible programme of lectures, workshops, seminars and tutorials, and be assessed via coursework and an exam. This module will broaden your understanding of the wider urban environment through an introduction to transport planning, traffic engineering and highway engineering, set within the context of sustainable development. This module aims to provide a sound background to the decision-making processes involved in, and the design and implementation of, major transport infrastructure schemes. It will cover policy, standards, codes of practice and design, and assessment methodologies for a range of transport infrastructure projects. This module will be delivered via lectures, seminars and workshops, and be assessed via coursework and an exam. This module introduces you to project environments in which the construction industry operates. 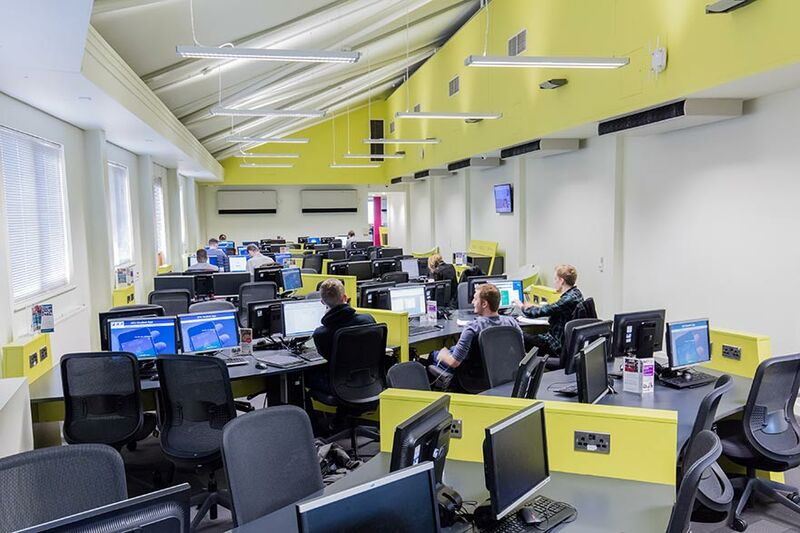 The module will be based around studying a live construction project, working in teams to solve a series of problems relating to the management of construction projects in the national construction market. The module may also allow some personalisation of your studies, as you may be able to pursue topics or themes of your own interest and choosing within the assessment, pertinent to the management of the construction process, or the management of construction engineering. This module develops your knowledge and skills in relation to a range of site investigation techniques on shall ground sub-surface. You will gain awareness of processes and issues across a range of techniques used to provide information during ground investigations. The module will provide a sound background to decision making, relating to the implementation of geotechnical design. You will learn to analyse and design some typical geotechnical structures. These topics will be reviewed within the context of safe and sustainable development. This module will be delivered via a flexible programme of lectures, workshops, site visits, seminar groups and tutorials, and assessed via an exam and coursework. 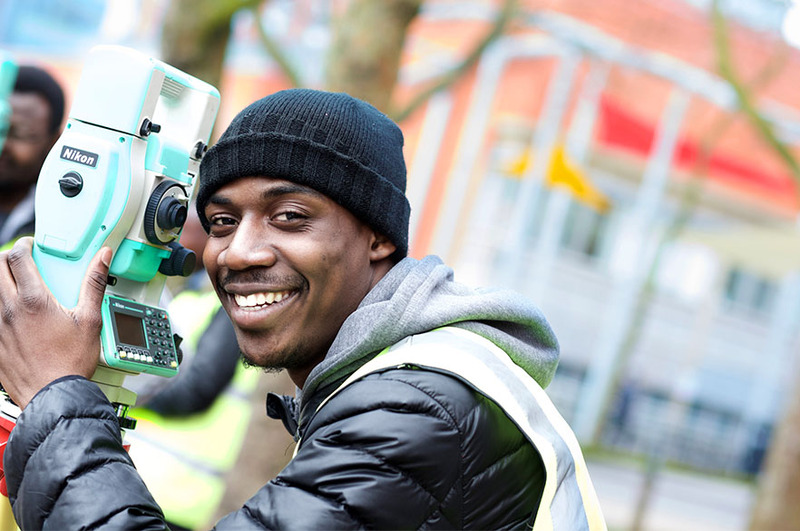 Our MSc Civil Engineering course is suitable for professionals with industry experience, and graduates from courses cognate to civil engineering. A wide range of teaching and learning methods are used to deliver the course content. In most modules, you’ll take part in intensive sessions of key point lectures, supported by study guides and other literature. Live site visits and laboratory sessions will support your lecture and seminar-based learning. This course is accredited by the Joint Board of Moderators of the Engineering Council, satisfying the educational requirements necessary for advancement to Chartered Engineer status with the following professional bodies: the Institution of Civil Engineers (ICE), the Institution of Structural Engineers (IStructE), the Chartered Institution of Highways and Transportation (CIHT) and the Institution of Highway Engineers (IHE). This will give you the opportunity to gain the necessary knowledge and skills to progress into a senior management role in civil engineering. 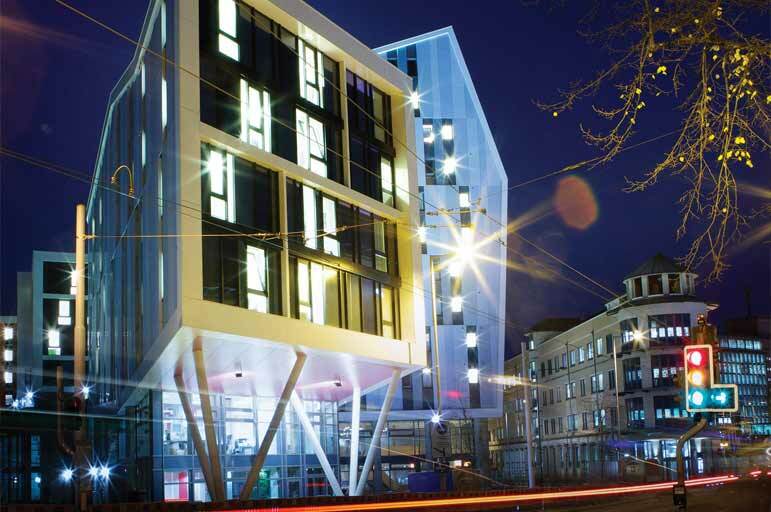 Benefit from our industry-standard facilities in our Maudslay building, right in the heart of Nottingham’s city centre. 2:2 honours degree in civil engineering, or an appropriate built environment subject area.